Welcome to New Faculty Member Hiromi Ozaki! Hiromi Ozaki, also known as Sputniko!, has joined the Media Lab as an assistant professor. 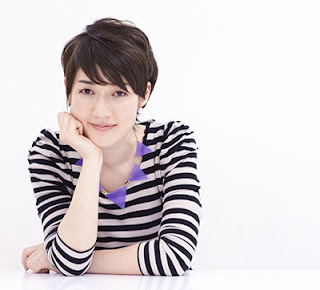 An artist who uses design to explore technology's impact on everyday life–and to imagine the future–Ozaki’s art practice includes creating songs and music videos about products she has designed, which she posts on social networks and online video platforms to encourage discussion outside traditional academic spheres. "Hiromi Ozaki's art provokes people to think about the social, cultural, and ethical implications of new technologies. We're looking forward to seeing what happens when she brings her great energy, imagination, and creativity to the Media Lab," says Professor Mitchel Resnick, head of the Media Lab's academic Program in Media Arts and Sciences. Ozaki's cross-boundary work is emblematic of the Media Lab's antidisciplinary, collaborative environment, and her research at the Lab will explore storytelling and embrace the social, cultural, and ethical implications of technology created at the Lab. She envisions her research at the Media Lab as deeply symbiotic and collaborative with other Lab research groups, with the aim of stimulating and developing new technologies that will, in turn, encourage discussions both within and outside the MIT Media Lab, as well as to inspire and shape future Lab innovations. "The key thing that excites me about Hiromi's work is that she elegantly synthesizes science, computation, networking, art, and design into beautiful "hacks" very appropriate to the contemporary medium of the Internet–social media, video, music and social commentary," says Media Lab director Joi Ito. "She's a true artist and producer that will connect to the Media Lab at many of its levels." Hiromi Ozaki has presented her film and installation works at exhibitions such as Talk to Me (MoMA, New York, 2011), Transformation (Museum of Contemporary Art Tokyo, 2010), Light of Silence (Aomori Museum of Art, 2012), and the Third Art & Science International Exhibition in Beijing (2012). She has received the “Passion without Borders” Award from the Japan National Policy Unit's Cabinet Secretariat (2012), an honorary mention in both Ars Electronica's Hybrid Art Category (2013) and Interactive Art Category (2012), and Jury Recommended Works at the 14th Japan Media Arts Festival (2011). Recognized as an active social media influencer in Japan, the Japanese Ministry of Economy, Trade and Industry (METI) selected Ozaki as the youngest member of the Cool Japan Advisory Council (2012-2013). She received her MA in design interactions at the Royal College of Art, London. Prior to studying at the RCA, she received her BSc in mathematics and computer science at Imperial College, University of London.